Each year our students present exams for both the Royal School of Music and Trinity College. To help them better prepare, it has become traditional to host a small concert where our students perform their exam pieces. 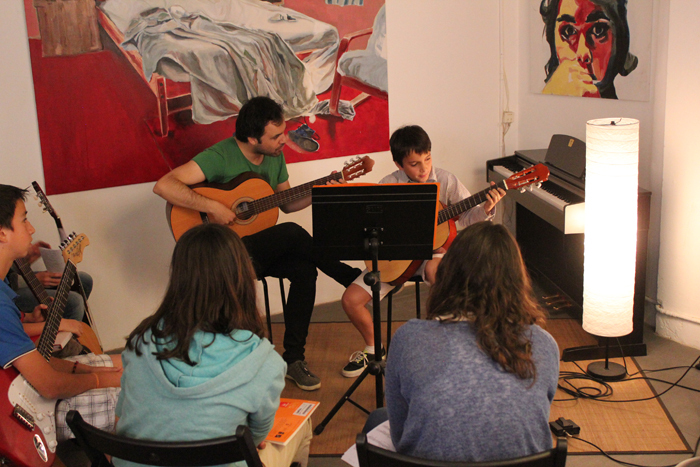 It’s also a good chance for them to hear the other students play their instruments and get together for a small party. 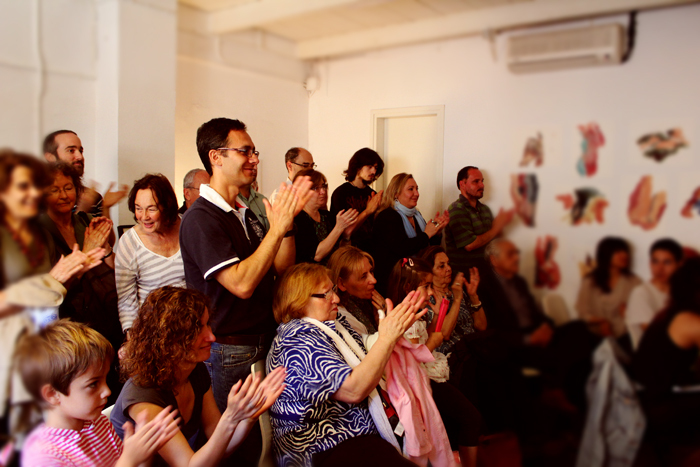 This year’s concert will be held on Saturday May 16th at 12h at the Bar in the Teatre Lliure. The students need to be at the venue at 11.15h to set up and tune their instruments. To cover venue hire and enjoy an aperitif at the end of the concert each accompanying person will be charged a small attendance fee of 4e. You can make the payment to the secretary when you come to school, or a transfer to our account number, don’t hesitate to contact us with any queries! Bring family and friends to enjoy your music! What’s it like to Audition for a famous Band? Have you ever wanted to know what it might be like to audition for a world famous band? Recently I read the account of American guitarist Ben Levin as he relived his experience of auditioning to be a musician for Lady Gaga on her international arena tour. It’s a fascinating telling of how he prepared for the audition and what he learned during the experience. He writes a great account of things you may be interested to note, if you ever find yourself in a similar position. “I walked up to the amp, plugged in, and stated in a monotone, ‘Hello my name is Ben Levin and I am going play ‘Summerboy’ by Lady Gaga.’ Then I screamed, ‘ONE!!!!!! TWO!!!!! THREE!!!!! FOUR!!!!!!! !’ and began to play ‘Summerboy’ as if it was a cut off of a Rage Against The Machine record.” Ben writes. Check out the full story on his here, and don’t forget to leave him a comment if you enjoyed his tale. What famous band would dream of playing for?